Tire kicker (n). “Someone who is indecisive about purchasing a product or service, and never feels satisfied with what they are offered (1).” Sounds like a bummer, right? It’s the harsh reality for anybody in the business of selling anything. Who has time to deal with indecision when there are real clients with real needs who are really searching for your product?! They need the product or service you are offering; you have the solution to their problem, the answer to their question! All you have to do is reach them. But when a potential client finally begins to look for a solution to their problem, they will most likely turn to an internet search engine as a starting place. So you need to make sure their search or question leads to you. This is where search engine optimization (or SEO) companies like Farotech come into play. Search engine optimization is all about getting on the radar of potential clients while simultaneously avoiding tire kickers. It’s the process of improving the visibility of your company’s website in the organic (unpaid) search results of major search engines. So, when a potential client turns to Google and searches for a product, service, or even a question related to your business, your website should be one of the top results. If it isn’t, search engine optimization helps to get you there by anticipating potential keywords and using these in web content. SEO companies help you navigate this process by finding and using the keywords and phrases that will get you the best results for your business. Your business grows as more potential clients go from leads to loyal customers. The mission of SEO companies is to help your business grow by maximizing your visibility and creating connections between you and your target clients. First and foremost, they will help you to optimize your website, making it both searchable and user-friendly. Then, a keyword analysis will determine what words and phrases potential clients in your area are using to find services you offer. Targeted content creation uses these words on your site, creating organic matches for search engines. So, when a potential client searches those keywords again, he or she should find your website as one of the top results! This increased visibility gives you the opportunity to turn these inquirers into leads and those leads into customers. 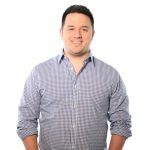 Farotech is a Philadelphia-based SEO company helping businesses all over the country make the connections they need with search engine optimization. We are a results-based business, committed to providing positive results for your company. SEO can seem like a complex problem, but it’s a complex problem that we can easily solve with simple analysis and proven methods. Contact us today to learn more about the four levels of service available and to discover which one best fits your business.